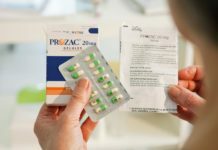 In 2010, my 25-year old son was prescribed Prozac for depression. After a psychiatrist doubled his dose, my son became acutely psychotic and had to be admitted to the hospital. Over the next twelve months, during which time he was treated with antidepressants and neuroleptics, my son had five further psychotic experiences. I trusted the psychiatrist’s treatment, and yet I knew something was drastically wrong when, in an outpatients department, my son started to attack people. This was completely out of character. I thought it might be that my son was having difficulty metabolising the drugs. However, I couldn’t find any pharmacogenetic information in the mainstream medical literature. At that point, I began my own research into antidepressants and neuroleptics, and how they are metabolised in the body. I soon joined up with Jan Evans, a physiotherapist, in doing this research. She had a close relative who had had a severe adverse reaction to the SSRI Cipramil, which induced psychosis in 2001 and so together we conducted an exhaustive study of “treatment emergent violence to self and others,” and how such adverse reactions might be tied to poor metabolism of these drugs. It is clear that with antidepressants serotonin syndrome is linked to a genetic polymorphism in the CYP450 2D6 metabolising pathway. A person with this genetic variation is an inefficient metaboliser of serotonergic drugs, and thus, if prescribed an SSRI, his or her serotonin levels may rise to a toxic amount. When this happens, the person may experience adverse events such as akathisia, suicidality, suicide, homicide, aggression, agitation, irritability, hallucinations or hypomania. In addition, the SSRI is not likely to be effective against the “target” symptom of depression, which may lead the prescribing physician to increase the dosage of the drug, which then exacerbates the toxic symptoms. This poor metaolism explains my son’s toxic symptomology and poor outcome from both antidepressant and neuroleptic treatment; my son is an inefficient metaboliser of such drugs due to genetic polymorphisms. This was also the case with Jan Evans’ relative. Our paper, “Treatment Emergent Violence to Self and Others: A Review of the Literature,” is of obvious relevance to understand at least some of the mass killings that have become so commonplace in the United States and elsewhere. 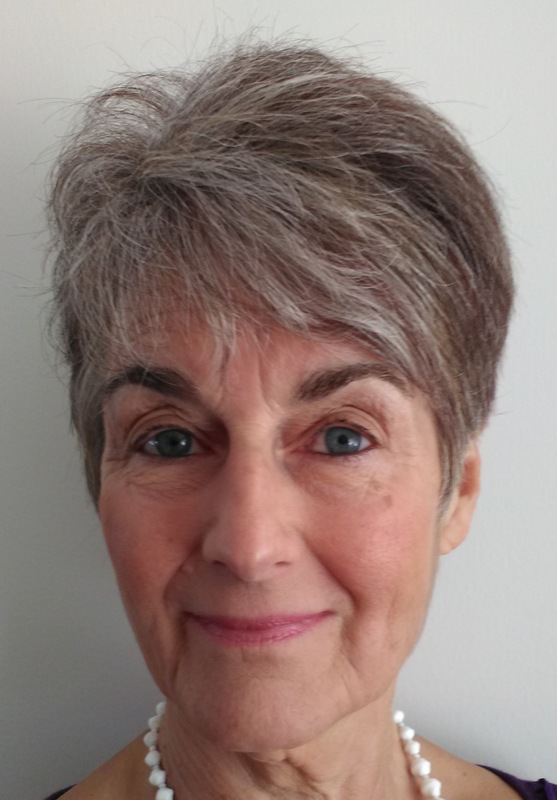 Jan Evans is originally from a Physiotherapy background (MCSP Grad Dip Phys). She became a carer when a close relative had an adverse reaction to psychiatric medication. With her medical background she took an interest in studying drug reactions, biology, the brain and other relevant subjects, and after several years her shelves were full of files of information. Her relative fully recovered and has been completely drug-free for some years. She now shares what she has learned to help others and improve the future of care for those in mental distress. Catherine Clarke is a former nurse (SRN), midwife (SCM) and chiropodist (MSSCH MBChA.) Following her son’s violent propulsion into the mental health system, she has spoken at conferences and given her carer's perspective to diploma mental health nursing students. In 2007, when she was a carer member for the UK's Department of Health New Ways Working for Pharmacists, she initiated the issue of drug metabolism; experts from National Institute for Health and Care Excellence archived the information. Her son has not been successful in withdrawing from neuroleptic drugs and his life is in ruins. The SSRI induced manias I had sometimes made me feel extremely powerful like a revved up car engine and want to fight to release that energy. I never gave into those impulses, but I know it happens. I know full well that SSRIs can cause feelings like that, especially when they cause mania. Not especially. My bad. They cause feelings like that WHEN they cause mania. An SSRI along with another pill (colloquially called a mood stabiliser) that cuts out the SSRI high makes you feel normal. It is more a function of the mania (caused by the SSRIs) than merely taking the SSRIs themselves. However, I have had such psychiatrists too. How goddamn stupid can some of these people be? The most important things they should be taught in medical school is the adverse effects these medications can have. I had a psychiatrist in 2010-2011 who, while being generally nice to me, made a pretty big error. I told him multiple times that the SSRIs were getting me high. All he said was “, No problem, the high will be there. Keep taking them”. I did keep taking them and ultimately had an outright episode of ssri induced mania which drove me out of my mind (made me psychotic), made me spend money I wouldn’t otherwise, and do all sorts of ridiculous stuff. Nothing violent. Just horribly embarrassing. And it’s biting me to this day. It usually takes at least forty years for medical discoveries to be accepted- Lind’s discovery that citrus fruits cured scurvy wasn’t accepted by the Royal Navy until the Napoleonic wars, 40 years later, the Navy losing 100,000 sailors in the meantime, until the Admiralty began issuing limes in warship rations. The newer SSRI’s have only been around 25 years or so, so we have at least 15 more years of freak-outs to deal with. You’ll notice the pharmaceutical companies are moving away from these drugs. The money has already been made out of them and they are causing too much controversy. It’s the same with the “Atypicals” – they were more expensive – but a lot more deadly, in the long run. True, but could also be because the patents are expiring, the usual drug company indicator that the clinical effectiveness of a drug has expired- time to replace one drug with another newly patented one. Clinical effectiveness of psychiatric drugs only seems to last as long as the patents on them- of course, the drug’s effectiveness is measured by the amount of income its sale generates, not whether it does you any good. Now you can also see why a high addictive potential is such a necessary part of psychiatric drug chemistry. Right. The patents of SSRI and “atypical” neuroleptics have already expired or will expire soon, which will reduce some of the financial pressure to prescribe them. However, now there’s something sinister in the pipeline, namely the new depot injection forms of the atypicals that are currently promoted and will be promoted in the coming years for things such as first psychotic episode, etc. When the atypical came to market, injections of older neuroleptics were downplayed as somewhat inhuman and so on. Now there’s a new campaign to make injections again more acceptable in standard care. Good for you for doing something effective. I’m not knowledgeable on metabolism but I suffered from ongoing extrapyramidal side effects and a number of suicidal episodes while on heavy psychiatric drugs. Most of these problems were suppressed on my records – but I made a good recovery when I stopped the treatment. When I challenged my former psychiatrist years later through the Irish Medical Council his explanation was that since my suicidal episodes had resolved themselves without anti akathesia drugs he judged them to be “illness” , and not drug related – and this was good enough for the Irish Medical Council. Out of character Psychiatric suicide/homicide is a very regular occurrence these days in Ireland. Drug Induced violence has also, always been well known to exist in psychiatry – but has always been suppressed. Such appalling and catastrophic iatrogenic destruction of individuals and their families. Exponential evidence of human devastation and destruction caused and perpetuated by mainstream psychiatry. In addition to their intolerable arrogance, cult like belief systems, routine use of lies, coercion and deception, there is institutional denial of fallibility. This leads to refusal to acknowledge the fundamental importance of diligently listening to, and accepting that the family are identifying to the psychiatrist that their unique and incomparable knowledge of their son, daughter, wife or husband identifies life threatening psycholeptic Adverse Drug Reactions and not Serious Mental Illness. Those whose loved ones survive these relentless and enforced psycho-pharmacological injuries may be left in a lifetime of perpetual grieving for all life’s opportunities lost at a time of peak and critical opportunity. A world of twilight existence, devoid of living of what others might enjoy as normal life. That such cruelty and torment is inflicted by persons believing themselves to be doctors imposes immense shame on the profession of medicine and surely should be of concern to its regulators. How could this pre-destined pushing of some of the worlds most dangerous prescription drugs until death or close-to-it be ameliorated? Awareness mandates choice. Truth justifies trust. – “Win – win”? The U.K. The General Medical Council – Prescribing Guidance: – Raising Concerns. YOU MUST PROTECT PATIENTS FROM THE RISKS OF HARM POSED BY COLLEAGUES PRESCRIBING AND OTHER MEDICINES-RELATED ERRORS. YOU SHOULD QUESTION ANY DECISION OR ACTION THAT YOU CONSIDER MIGHT BE UNSAFE. I would suggest that forcing a profoundly akathisic patient to take additional drugs that exacerbate akathisia and induce aggression, violence and iatrogenic psychosis must surely mandate such questioning. How such valid concern might be addressed, when challenging the most powerful speciality component of the medical establishment, is apparently unknown. Whatever the response, might it provide insight into professional regulation in the light of the tragedies that have befallen so many, and which are illustrated by the immense courage and fortitude of Catherine and Jan. It is a really well written account of how psychiatric drugs, primarily anti-depressants robbed a woman of her life for a year and sent her psychotic and dangerous. The author is a journalist so it is well researched and written in a style that combines a tragic personal story with gripping research. It’s amazing that you’ve got all these SSRI Horror stories that can be substantiated; and you still have Doctors prescribing these drugs for the wrong reasons, and denying their disastrous side effects. The author of the book, when she had recovered, went back to interview the psychiatrist who prescribed the drugs. At one point he said she was ill and was basically trying to use her diagnosis to undermine her credibility. She bravely carried on the conversation and pointed out that psychosis was a known side effect on the leaflet provided with the drug. He eventually backed down and admitted that the drugs could have made catastrophically her ill. She had to be very persistent and he probably realised she was an investigative journalist and his reputation was on the line. If she wasn’t, or if she was still a patient she would almost certainly have been dismissed. Thank you John for mentioning this book. I hadn’t heard of the author but looked her up and have now read one or two newspaper interviews she gave. What quite surprised me is that when she turned up at a NHS hospital she was taken off most of the drugs, rather than being seen as having “treatment resistant depression” and needing ECT. Thank you for sharing your research. I have read that 10% or so of the population lacks a certain enzyme in their liver, which results in their inability to metabolize pharmacutical drugs, is this similar to your research findings? However, I also found that the medical community has known for a long time that the antidepressants and antipsychotics, especially when combined, can cause ‘psychosis,’ via what’s medically known as anticholinergic toxidrome. And the “central symptoms” of anticholinergic intoxication syndrome are almost identical to the positive symptoms of “schizophrenia,” so the medical community is unable to distinguish between the iatrogenically created “psychosis,” and their theorized DSM disorders. Anticholinergic toxidrome poisoning may have been the actual iatrogenic illness from which your son suffered. After years, I had forgotten what it was like to feel normal. It took another “client” to point out to me that my movement problems were drug related. The doctors and nurses had complained often to me about my inability to function and suggested to me that I was exploiting the social welfare system – whereas the reality was, that it was they themselves that were enjoying a free living. I absolutely agree, Fiachra. The antidepressants and ADHD drugs create the “bipolar” symptoms. And the antipsychotics create the negative symptoms of “schizophrenia” via neuroleptic induced deficit disorder, and the positive symptoms of “schizophrenia” via neuroleptic or poly pharmacy induced anticholinergic toxidrome. My psychiatrist also denied my drug induced dyskinesia was caused by his drugs, he thought it was a “classic symptom of schizophrenia,” according to his medical records. But it went away when I was weaned off the drugs. What a shame the psychiatrists seemingly know absolutely nothing about the adverse effects of the drugs they force and coerce onto their innocent patients. While they lie through their teeth claiming that they “know everything about the meds.” I guess at least we’ve found the hypocrites Dante claimed will land in the lowest depths of hell? On the drugs the “patient” goes mad and off the drugs the “patient” goes mad. Doctors and nurses can see this, can’t they? Most of this kind of stuff starts with family scapegoating, child abuse. Deal with that, and the rest of it vanishes. Yes, and “the dirty little secret of the two original educated professions” is that the religions have been utilizing the psychiatric industry to cover up their “zipper troubles” for decades, and the mainstream medical community has been utilizing psychiatric misdiagnoses and torture to cover up their easily recognized iatrogenesis for decades, too. But with the medical evidence coming in showing that 92% of “borderline” stigmatized and 82% of “psychotic” stigmatized are actually child abuse survivors, it does become quite clear that profiteering off of covering up child abuse is a huge part of the psychiatric industry’s business today, despite the reality that this is actually illegal behavior. I’m doing a double take on this loaded sentence in Catherine Clarke’s bio. With no further explanation as to why a life can be “in ruins”at the age of 31, readers are left thinking that this young man’s life is over for good, and that the drugs have caused this situation. “Ruins” is a subjective term. Being in prison would be pretty bad, being homeless would be one step up from that. What his actual state is, is unknown from the bio description. I would postulate he has no reason to live, or no purpose, or no religion. Where some one might figure out what they love and wish to support during their time here on earth. Rossa Forbes I cannot speak for Catherine’s Son…But I can speak for my Mother who was subjected to this system and killed herself 20 years ago and my brother who died four years later. I can speak also for my 30 year old Son who had H1N1 March 1, 2016 after several days of no sleep, severe diarrhea and vomiting, little food he went to his Family Dr. who due to his odd behavior decided to prescribe Olanzapine and Clonazepam, having no prior history of any mental illness. Within 3 doses my Son was off the Deep End. He was taken to ER and the nightmare really began there. Instead of listening and getting any facts correct from Me his Mother who knows his history the Dr. put ‘Refuses to take same (meds)!’ Instead of putting he took the third dose and was so Paranoid and delusional that he came to the hospital. The Errors continued from there and instead of getting him off the medications he was subjected to forced medication, family was banned and in the end was sent home on a Wrongful CTO. He has no prior history, he has not been hospitalized voluntarily or involuntarily in the past two years or ever for this. He has not been subjected previously to a CTO. Yet the appeals boards all the staff etc. are ignoring this and upholding it. We cannot afford a Lawyer and have reached out to many levels of Local government and have been told although they are Sympathetic their hands are tied when it comes to a Psychiatrist’s Diagnosis. I Have even brought up the Anticholinergic effects and the fact I have a rare disorder Mastocytosis that my Son is showing positive symptoms of already. The DR. has refused to listen to this…He flat out said he will not address all the errors not only in his summaries but in the Hospital file and it will not change his diagnosis. Awhile back I found out there is a tie to paradoxical effects when I found about Anticholinergic issues while researching my own health, it was just my theory. Until today I found absolutely there is a tie, It is called Anticholinergic Intoxication Syndrome. The Dr.’s refusal to even look into this when my Son did not respond to the medications as anticipated and I was trying to provide this is tantamount to Malpractice…unfortunately in Canada here that doesn’t fly. So when you say Loaded sentence…You should realize there is so much more to the issues people are having and if they believe their Life is in Ruins…You can bet your bottom Dollar it most likely is. My Son’s life is in Ruins…we are struggling just to keep his head above water…and fighting a System that is supposed to be there to help, listen and keep you a part of the decision making..not just over rule. Especially when they have no prior knowledge of a person, their character, their traits and their personality and the Family in no uncertain terms is telling you they were not like this…they were always happy, easy going and now they are Hypomanic. So just wanted You to know that Yes this System does put people’s lives in Ruins. My Son broke his neck last year in a MVC and has a plate in his neck. He told me all of that was a Walk in the Park compared to being treated this way. He suffered beyond comprehension last year and if this is far worse then maybe that gives you and indication of what Ruins is. I feel I can speak on this because I have lost two family members and watched both sons go through this…They had minor issues that the Meds amplified to the point I almost lost them both…if that’s not Ruins I don’t know what is. First I want to give high praise for this incredibly well researched paper connecting violence and suicide to psychiatric drugs. 1) It might be helpful to write a very condensed version of this paper and its conclusions that would be more accessible to lay people and the broader public. 2) Within this paper you have alternated between using the terms “medications” and “psychiatric drugs.” To continue using the term “medications” to describe psychiatric drugs is both an unscientific and unnecessary concession made to Big Pharma and Biological Psychiatry. 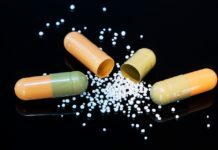 There is no scientific basis or need to call these drugs “medications” since they are “treating” no verifiable disease processes in the human body or condition. To confuse these terms (or somehow believe we must use them because everyone else does) is essentially to concede a major scientifically incorrect and historically backward political stance. This is no different than calling excessive anxiety, depression, or bizarre thoughts “diseases” and accepting the legitimacy of all the diagnoses in the DSM 5. This confusion over the use of the term “medications” and “psychiatric drugs” will NOT stop unless WE MAKE IT STOP by highlighting this crucial difference in accuracy of scientific terms. There is NO scientific basis to conclude at this point in our understanding of how SSRI’s metabolize in humans that some people BENEFIT from these drugs based on their ability to process the drugs. Or that those people who allegedly have difficulty metabolizing these drugs are somehow MORE prone to violence. This is only a speculative theory at this time. Yes, it may be true that there are human variations in a person’s ability to metabolize these drugs but it HAS NOT been proven that someone who can better metabolize these drugs achieves a BETTER RESULT with their depression or is somehow LESS prone to violence. There is a danger in conceding these scientific points without verifiable proof. Strongly support your thoughts here, Richard. Hello Richard…Thank you for sharing all of your thoughts…most above my Lesion addled brain…lol But I wanted to point out something I just mentioned to my Son. Both of my sons for different reasons were put on Antipsychotic medications and then a Benzodiazepene. My Youngest 3 years ago for anxiety, my oldest for odd behavior after H1N1! Both of my son’s went off the deep end and then med after med failed to ‘Stabalize’ them properly as anticipated by the Dr.’s. I have a rare disorder Mastocytosis that Anticholinergic medications is contraindicated in. I just found this out recently through my own research and tried to get the Dr. to listen…I have now come to find that it is an actual thing Anticholinergic Toxidrome! As a Psychiatrist he should fully be aware of this but denies any knowledge. I may have drifted a little off here…blame it on the lesions! But my long story point is my Son’s are like night and day…My Youngest is very Sensitive…Shy….Artsy…Musical…Creative and a little grouchy when he gets up in the morning. My Oldest is very Outgoing…Mechanical…Technical…Creative…Hands on and chipper in the morning. When they were at their worst in reacting to the meds. My Youngest was very angry…grouchy…aggressive and even became physically aggressive. He spent money ridiculously and was very paranoid. My Older son was Hyper talkative…Paranoid…spent money ridiculously and was a bit grouchy about the situation but always remained as positive as he could while he tried to fight the effects of the meds. He never became aggressive or physical either to himself or anyone else. Even though they are brother’s they reacted similarly but the anger violence component was the huge difference. In their cases it came down to their most basic personality traits…my Youngest is definitely more easily agitated and my Oldest is the exact opposite. Language does matter, very much. Using the term “medication” most definitely is part of the effort to legitimize “medical treatment” of these “conditions”. We should use the terms “drugs” and “labels” every time we refer to these fictions! Reading along here and this was very well stated Richard. I am glad you confronted me before on the importance of clarifying the underlying implications of the term “medication”, and therefore not using it to describe psychiatric drugs. It’s important that this not be interpreted to suggest that SSRI’s are acceptable drugs for some people, but not others with the “wrong” gene structure; or that either the drugs or genes themselves should be altered to trick the body into accommodating the drug. This would be disabling the immune system, which is attempting to creatively and effectively counter alien chemicals in the body — toxins which are not found in the natural environment. Right you are. Different people respond differently to alcohol or meth, too. Doesn’t mean meth is “medication” for some people and others have “side effects.” They are both drugs. They have effects. We may like or not like the effects, but the effects are not “treatment” just because we like them. Why haven’t you attempted to publish this review article? What do almost all school shooters have in common ? SSRIs. Thanks for the work, Cat. The_cat I am absolutely Sick to My Stomach….I knew it was bad…But I had no idea as to how many People have been Lost to Pharmaceutically Induced Violence or forever Scarred by it. I am Ashamed that I did not initially look further than the Instances reported by Main Stream… that obviously was a huge Error on my Part. But in my Defense I have been witnessing for Decades – Loved Ones Fall Prey to the Health’Care’ System accompanied by the Pharmaceutical Thugs 🙁 I have never been very far from the Front Lines but as with Many things in Life Clearly not fully seeing the Bigger Picture. How can I Share what I have now learned? I will start with sharing a bit myself and then Please Let me know How to Inform others if possible about this. No longer wanting to live…time and time again. The Frustration of Trying and Trying again, only to fail and be sucked back into the ‘Care’…. I see the List You opened my Eyes to with what should have been a Predictable Outcome…Followed by the Logical Solution to Stop these Meds…To Take Care of these People properly and Listen!!! 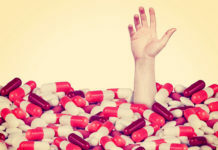 This Pharmaceutical Rage has has been Exploited, Ignored, Hushed and Buried for Far too Long and brought about Laws that Punish the Innocent and are Quick to Medicate All in an attempt to Solve the issues…and in Fact effectively Exacerbating with Horrific Results that are Swept Under the Rug! In Sask. Canada if You are Up on the Mental Health Act it quickly becomes clear the Act is there for The Dr.’s and to cover the Politician’s. As for the Patient it mainly just lets You Know what They Can and Will do to You!!! Recently Schooled on the Mental Health Laws out of Necessity. Aside from that Currently the Statistics I am aware of are only about 6% of People with Psychiatric issues are Violent…Leaving 94% not…. After discovering this list…Is this still Correct or are these the Stats the Powers that Be Want us to See??? However in one form or another they tortured themselves, through self harm or personally destructive behavior brought on by reactions to various and multiple medications and including ECT inflicted on them for Many Years. So I can relate to some extent, either way…All involved were Tortured by the ‘Care’ System. The Old Proverb – The Enemy of My Enemy is my Friend….is applicable here. I do not condone Violence as I try to Live beyond the Anger but I do Live with Regret…for not Standing up as much as I should have for My Mom and My Brother 🙁 I was Young and life had been trying since the day I was born and before….I was worn out…I had no fight left in me…. Instead Ignores those Who are already ‘Treated’ and Medicated…. Or to Treat concerns of Medication Effects introduces another Pill…. There is Torture of both sides suffering through these Highly Unnecessary Tragedies. Clearly as the Dr. who has Wrongfully diagnosed my Son with Bipolar. The Dr. who Knowing of all the correct Facts, despite the Numerous detrimental errors in my Sons file by Hospital staff, goes forward forcing Medication to be continued. The Medication that in Fact is inducing The Mania he has Convicted my Son of having. With no Prior history and ignoring the H1N1 Flu that within the two weeks prior was accompanied by dehydration, vomiting, diarrhea and insomnia. For insomnia and unusual behavior he was prescribed Olanzapine and Clonazepam to address the insomnia and the slight odd behavior. Paradoxical effects were within an hour of taking the dosage but by the Third dose we had to seek 911. My son who had been fighting the H1N1 for two weeks already, continued to suffer during his whole six week stay at the Hospital and the Dr.’s continued denial of a Flu being so Serious despite 3 different tests showing a severe infection in his blood. The Dr. even testified at an appeal he had no idea if a Flu could cause such behavior….I’m not that type of Dr…but it doesn’t matter it is definitely Bipolar…The Appeal Panel accepted this…even though we Have a Family Dr. stating this is highly possible. to cause these issues and ignoring the Anticholinergic Toxidrome Symptoms He as a Trained Psychiatrist should have been aware of. Meds. Continuation of a Med My Son was brought to ER – Paradoxically Mentally & Physically Reacting to (witnessed by Many familiar with my Son). A Dr. who is also Wrongfully holding him under a CTO. Essentially with No Priors on Medicated Parole. I apologize for going on…but this ‘Care’ has been the Route of Destruction and Ruins of my Family going back 4 Generations. That’s awful, Zelda. I’m so sorry you all are going thru this…good luck in breaking the pattern! You found your way here – it’s a start!